Oculus unveils its new VR headset – Oculus Quest. 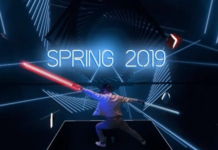 The Oculus Quest, entirely dedicated to gaming, arises as an intermediary between the expensive Rift and the most affordable Go. 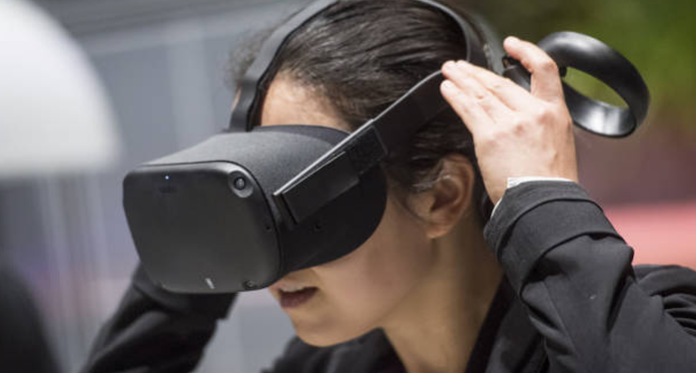 Less than six months after Oculus Go, the affordable, self-contained VR headset tested in our columns, Oculus presents its new model at its Connect 5 conference. The Oculus Quest is also a headset. All-in-one, but located halfway between the Go for its format and the Rift (wired) for its features. Let’s take a look at the characteristics of the last two Oculus babies. In addition to the 6DOF, the headset also benefits from a new system using 4 ultra-wide angle sensors and a new vision algorithm for real-time tracking of the position and without the need for external sensors. In theory, the Oculus Quest should, therefore, offer an even more immersive experience and higher mobility compared to the Oculus Go. However, the size of the onboard battery remains a mystery. In view of the other features, we can only wish that the battery is more consistent than that of the Oculus Go that does not usually hold more than 90 to 120 minutes in play. 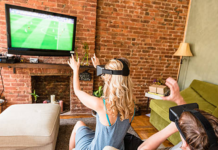 The headset will be introduced next year during the spring and will be accompanied – according to the promises of the company – a little more than fifty compatible titles. The presence of controllers should also allow developers to consider easier porting of some titles available for the Oculus Rift PC. 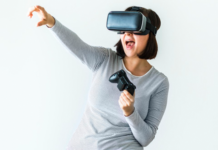 Finally, thanks to its ultimately low price, the Oculus Quest should be able to make the eye especially for those interested in virtual reality, but cooled by the budget required for a VR headset on PC, and should allow them to experiment with a portable VR without breaking the bank and in theory much higher than that of a Smartphone. 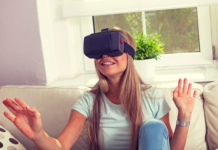 Will it still be enough to convince the public and accelerate the democratization of virtual reality? Beyond the technical aspect, the most interesting here is the positioning of the helmet. Because if the Oculus Go and Rift are dedicated to various impressive uses, the Quest arises in gaming headphones. It comes to compete with models such as the Sony PlayStation VR, which, however, requires to be connected to a game console to operate. 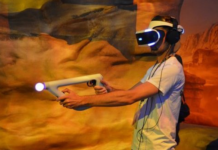 The headset will benefit and, on its release, a catalog of fifty games, promises Oculus, including Moss (tested here on PS VR), Robo Recall and The Climb. And to better stoke the envy of potential buyers of his helmet, Facebook subsidiary put on a partnership of renown. The VR division of Lucasfilm has indeed worked with the creator of the helmet to offer Vader Immortal: A Star Wars VR Series. An episodic game whose first three components will be released in 2019, at the same time as the Oculus Quest. For the helmet alone, expect a starting price of $399 (64GB version) in the spring. The price of the device in euros remains to be confirmed. 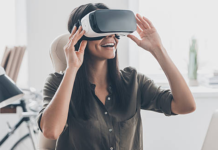 Previous articleThe Best Virtual Reality Headsets of 2019: Which Headset is Right for You? What other version is there besides 64GB and how much will it cost? Your method of describing all in this paragraph is actually nice, every one be capable of effortlessly be aware of it, Thanks a lot.